I guess as consumers of fishing tackle, in some ways we’ve never had it so good. Gear has never been so cheap and the range and quality is now almost mind blowing. My first carbon fibre blank was a Bruce and Walker CTM and cost me around two weeks wages. I can now buy a considerably better quality product from a major manufacturer like Fox, Preston or Drennan for £70 – and yes I do earn more than £35 a week ! Tackle is even cheaper online and the recent survey by the Angling Trades Association showed that a staggering 43.9% of all sales now takes place on the internet and via mail order. Great news for consumers but a real threat to the survival of a national network of local tackle shops. When I first moved to Reading over 30 years ago we had five fishing tackle shops and couple more selling bits and pieces. We are now down to two; Reading Angling Centre and Thames Valley Angling which has recently changed hands. Granted both shops are bigger and better than those they replaced. Down the road in Newbury, a town situated in the heart of fishing country which for a long time supported two angling shops, we went through five years with none at all until the opening last year of Experience Fishing. This is an impressive new angling superstore catering for all branches of our sport. Perhaps angling superstores are the way forward, perhaps by having less but bigger tackle shops they can hold out against the online onslaught and still retain a presence in towns and cities up and down the country? I shudder to think how much hard earned cash I have handed over the counter of the nation’s various tackle shops and, while I have been tempted on occasion to shop online, I really do try to make an effort to support my local shops. These are the places I go for bait, for information, for news on local issues affecting our sport and where thousands of youngsters are first introduced to the world of angling. Yes I can get the big ticket items a little cheaper online but frankly I would rather pay a few bob more than see my local tackle shops go out of business. Quite apart from their demise being bad news for angling I’m hardly likely to be able to buy a gallon of maggots online and much as I like to read about the wonders of all those must have brand new products out there I still like to touch, feel, waggle and spin most of my fish catching gear prior to purchase and you can’t do that on a computer screen. Experience Fishing in Newbury – are angling superstores the way of the future ? Here at the Angling Trust when we wanted to get our Action on Cormorants campaign postcards out to the angling masses our first port of call were the tackle shops. In my view they are an important part of the angling community in this country which is why I am always happy to support them in any way I can. Last year I joined champion flyfisher Charles Jardine and Pallatrax boss Simon Pomeroy at the opening of Experience Fishing in Newbury and this week I shall be doing something similar a little closer to home. 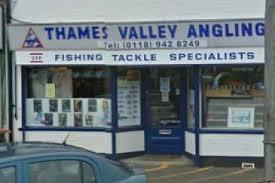 When Angela Thomas, the owner of Thames Valley announced she was moving back to Wales many of thought that we might lose our local tackle shop. So it was great to hear that in the middle of a recession one of Reading’s well known anglers, Alan Clark, was prepared to take the plunge and buy the business. 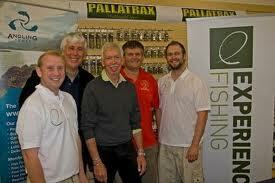 Alan has set up a special open day for existing and new customers of Thames Valley Angling on Saturday 27th April. I will be joining Alan in the shop alongside well known river expert Dave Harrell who is also an Angling Trust Ambassador. We will be on hand to offer advice on all things to do with river fishing and on the activities of the Angling Trust. There will be videos and a slide show as well as drinks and nibbles and a prize draw so please come along if you are in the area. There will also be special offers, for one day only, on Dave’s extensive float range and all the patterns and sizes will be on display. 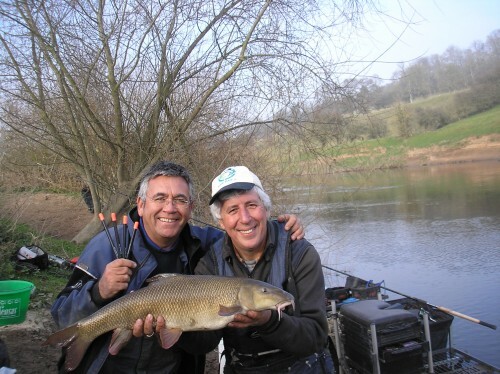 Top river matchman Dave Harrell will be joining me on Saturday to formally re-open Thames Valley Angling in Reading. Like many of us Dave wants to see our tackle shops survive and continue to be the first port of call for angling info and advice. For more information call Thames Valley Angling on 0118 942 8249. Thames Valley Angling is at 258 Kentwood Hill, Tilehurst, Reading, RG30 6DR. Just a small point, but here is also Woodley Tacklebox in Reading.